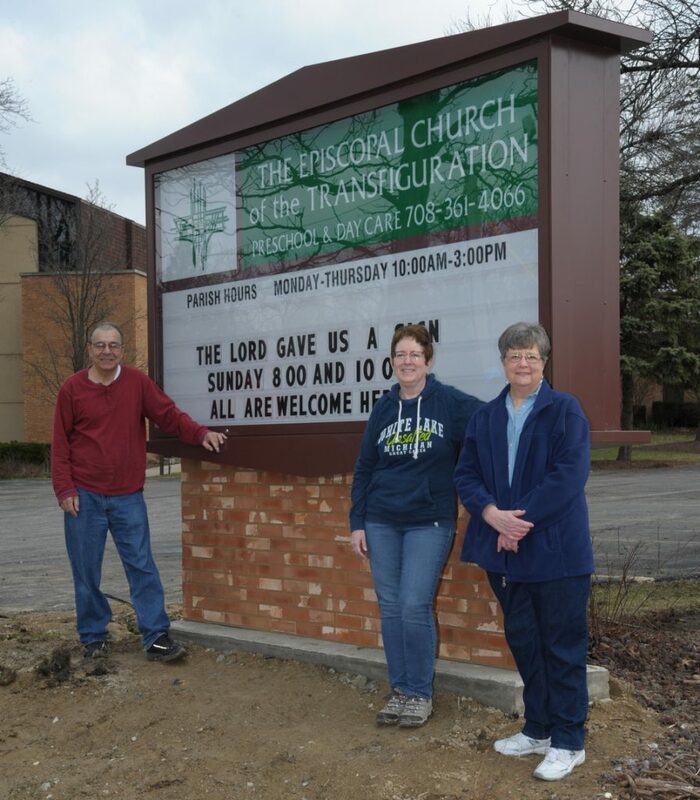 After several months of fundraising, planning and waiting, the church’s new sign was finally installed on Saturday, April 6, 2019. Junior Warden Ted Karrison does his best Vanna White impersonation in presenting the new sign. Wardens Ted Karrison and Marianne Dawson along with Rev. Annette Mayer with the new sign. Electrical connections still need to be performed by our electrician, the sign contractor and ComEd.